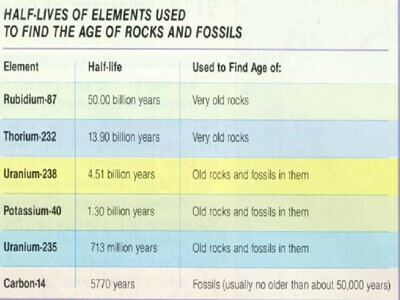 Radiometric dating is one of the most important subject matters concerning the creation vs. evolution debate. It is one of the primary focal points that evolutionists use to essential backup most of their claims for a long earth time frame (4.6 billion years old). Unfortunately, the subject is vaguely understood well enough by most people. This lack of knowledge provides an avenue to evolutionists to take advantage of other people, as they build a case for what would at first seem like a solid foundation of evidence for an old earth theory, but when fully examined, proves quite the contrary. The development of radiometric dating occurred in 1896, and was based on the discovery of Henri Becquerel, who discovered that some chemicals remain radioactive over periods of time. A committee of the ‘Measure of Geologic Time’ formed by the national research council with Alfred C. Lane geologic professor as the chair, and began to establish the radio metric dating method. The committee first me in December 1923 and began its annual reports published publicly. 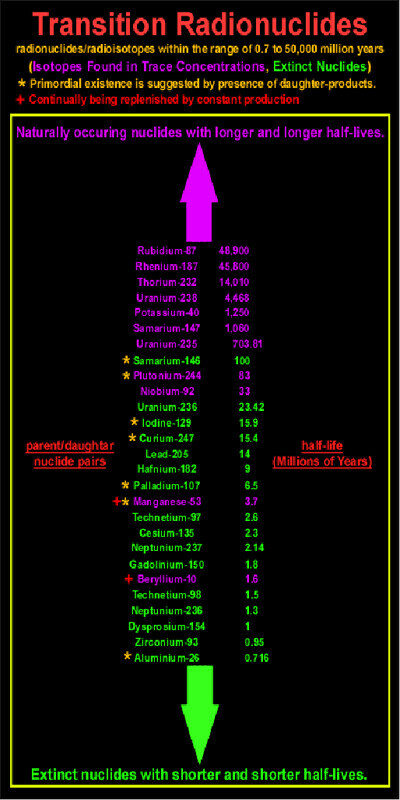 Radiometric dating is the technique used to date materials such as rocks, fossils and other geologic formations by observation and comparison of the abundance of radioactive isotopes and their decay process’s using known or theoretical decay rates. Elements decay and form into other elements. All matter is created with known chemical elements, each with its own atomic number which indicates the number of protons (positive particle) in its nucleus. Each element may exist in one of many different isotopes, which means that it contains a different number of neutrons (neutral particles) in its nucleus, a specific isotope of a particular element is called a nuclide. Over time, some atoms that have unstable nuclides will transform into a different nuclide. This transformation is typically accomplished through radioactive decay, which means that a particle may loose or gain an electron, or experience spontaneous fission. The moment in time an atoms nucleus decays is unpredictable, and the nucleus decays exponentially at a rate described by its parameter known as half-life (in years). After ‘one’ half-life the nuclide will decay into a daughter nuclide, or decay product, and half of the parent element will remain. eventually the atom will become a stable (non-radioactive) isotope. This allows theoretically, for the predicable ‘time clock’ for the atom you are observing, by looking at where its at on it procession chart. Isochron dating is the analysis of four or more samples in the same unit of rock. This form of dating is the attempt to eliminate one of the assumptions in a single sample of radioisotope dating. The data can become problematic, typically not allowing an accurate reading after the isotope has went past the nuclides half-life. Evolutionists believe most radioisotopes had to be created by supernovas that lead to the formation of the space dust that eventually tumbled together forming larger clumps that smashed together forming the earth. We do find evidence in rocks that the parent isotopes mush have existed at one time. It may be possible the at one time nuclides had a much faster decay rate. It may also be that because these nuclides are so radioactive, God may have simple created the earth and produced this effect with these nuclides to decay into their daughter state to prevent harm to organic life on earth. There are numerous problems with radiometric dating. Current radiometric dating methods assumes that the decay rate has been consistent throughout all of time. It would have to know and the initial amount of daughter isotopes present in the material when it first formed, and it must be known accurately. A relationship between data obtained and a specific events must be known. Temperature and nuclide migration causes severe contamination which would prevent measurements for being accurate, as no person would even know the subjects complete conditions from the time of formation until the time of testing. Wrong and mismatch dates are continually found in every material that is dated. All inconsistent data is easily dismissed by testers as ‘possible externally formed or contaminated conditions’ with the rest of the sample, but how can anyone know that assumption is accurate? Theoretically, isochron dating should be the best way for dating magma and other igneous rocks, as it should have its ‘initial condition’ or starting point once the magma cools off. 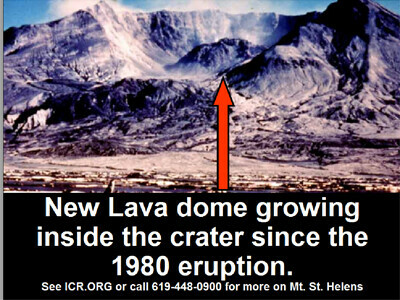 This is seldom the case when lava is actually dated. Potassium to Argon40 is a gas known to escape and migrate through rocks. It can be leeched by soluble (liquid) solutions. Argon -40 makes up about 1% of the atmosphere which could potentially lead to the contamination of anything. Lead to uranium nuclides migrate in rocks and escapes as vapor in relatively low temperatures. Strontium/ rubidium87 are abundant in the earth crust and can migrate easily by water and heat. Multiple tests done on the dating method have shown that the results are always different and independent from each other. New ways for radio testing show evidence that the earth is roughly only 6000 years old. Using the exact same method of scientific experimentation, we should not succumb to double standards and accept both interpretations until we can determine the method that has fallacies. Q.) How do they know how long the half-life of a nuclide really is? A.) The rate of decay for an isotope or nuclide is theoretically predictable. Theoretically we can calculate a small amount of time less then the half-life, first by observing how much has decayed over a period of time, than use that data to count how long it will take for its half-life decay to occur. i.e. If 1 x 10^5 decay events occurred in one minute in 1g of uranium-238, then we can calculate the half life to be 10Million years. Although, looking at this method, we can see a large amount of assumption even using 1 year of data, as this only measures 0.0000001% of the theoretical entire life cycle. This puts a tremendous weight on assuming a consistent life cycle. IS THIS ACCURATE or ASSUMPTION? A researcher John Joly of Trinity College, Dublin, spent years studying pleochroic halos emitted by radioactive substances. His research shows that there is evidence that the long half-life minerals have varied in their decay rate in the past! —*A.F. Kovarik, “Calculating the Age of Minerals from Radioactivity Data and Principles,” in Bulletin 80 of the National Research Council, June 1931, p. 107. Zirconium crystals prove inconstancies within the same dated mineral radio dating shows billions of years for the mineral, while other measure show only thousands of years. How does Radio Carbon14 Dating work? The earth’s atmosphere is about 100 miles thick. Everyday, nitrogen in the upper atmosphere gets bombarded with radiation from the sun and knocks a proton out of the nucleus making it a radioactive Carbon 14 atom. That carbon 14 combines with oxygen to create a CO2 molecules which is eventually absorbed by living creatures. C14 combines with oxygen then mixes equally with the other normal CO2 by the wind currents. COSMIC RADIATION CONVERTS 21 LBS OF NITROGEN INTO C-14 PER YEAR. 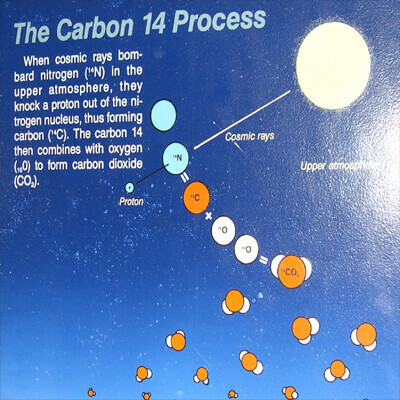 C14 is being produced in the atmosphere by the sun. It breaks back down to nitrogen at a 1/2 life rate of every 5,730 years. Animals eat the plants and it becomes part of their bodies. 3. It is assumed that the ratio of radio-active C14 to normal C12 in the atmosphere would be the same ratio found in the living plants and animals. For example: If the atmosphere is .0000756% C14 it is assumed the plants and animals have the same %. 4. When the plant or animal dies it stops taking in new C14. 5. By comparing the amount of C14 in the object being dated with the amount currently in the atmosphere it can be estimated how long the object has been dead. If it only has 1/2 as much it is assumed that it died 5,730 years ago. Whatever C14 it has continues to decay. 1/2 of the C14 decays every 5,730 years. Since it cannot gain any more it will be out of balance with the atmosphere. Why do we still find C14 in ancient fossils? There should be no measurable C14 after 40-50,000 years considering the significant amount of C14 that is known to be lost every millennium. Even according to the longest term data; with their short 5,700-year half-life no carbon 14 atoms should even exist in any material older than 250,000 years. Yet, it has proven impossible to find any natural source of carbon below Pleistocene (Ice Age) strata that does not contain significant amounts of carbon 14, even though such strata are supposed to be millions or billions of years old. Conventional carbon 14 laboratories have been aware of this anomaly since the early 1980s, have striven to eliminate it, and are unable to account for it. Lately the world’s best laboratories, which has learned during two decades of low-C14 measurements, how not to contaminate specimens externally, under contract to creationists. They have confirmed such observations for coal samples and even for a dozen diamonds (that are supposed to be millions or even billions of years old), which cannot be contaminated in situ with any recent carbon-14 deposits. These constitute very strong evidence that the earth is only thousands, not billions, of years old. Why hasn’t C14 achieved equilibrium in the Atmosphere? If you perform a simple experiment with a bucket of water, you know the more water you pour into it, eventually it will fill to the top of the container. 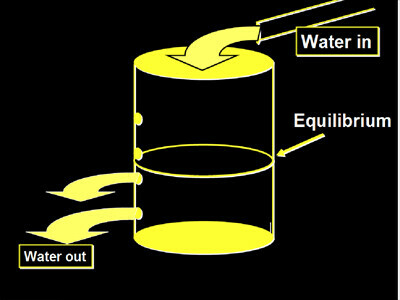 Now, if you poke a hole in the side of the bucket, if you pour the water into the bucket at the same rate the water is coming out of the hole, you will have reached its equilibrium point, in which the water will not rise any higher in the bucket. The earth receives more C14 in its atmosphere than is depleted each year. Radiocarbon is known to be forming 28-37% faster than it is decaying. It has been calculated that at the rate C14 builds in our atmosphere it would only take 30,000 years for the earths atmosphere to reach an equilibrium. 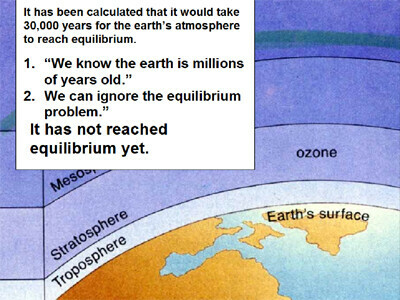 With condition that should have remained the same over the evolutionists estimated millions of years in our atmosphere, they cannot account for why the atmosphere has not reached equilibrium. This is additional evidence that the earth is thousands not billions of years old. However, we cannot account for what the decay rate was while it was in the ground. Neither can we account if the material was affected from any contaminations. We also cannot determine how much C14 was in it at death, it may have had a very low amount of C14. 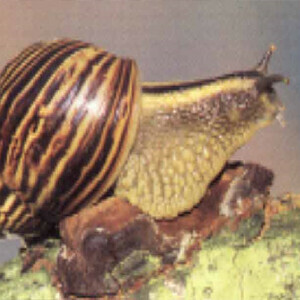 Living mollusk shells were carbon dated as being 2,300 years old. 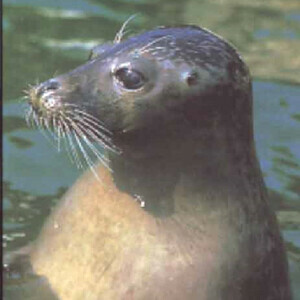 A freshly killed seal was carbon dated as having died 1,300 years ago! – Antarctic Journal vol. 6 Sept-Oct.
dated as being 27,000 years old. Eleven human skeletons, the earliest known human remains in the western hemisphere, have been dated by the accelerator mass spectrometer. All eleven were dated at about 5000 radiocarbon years or less! Material from layers where dinosaurs are found carbon dated at 34,000 years old. 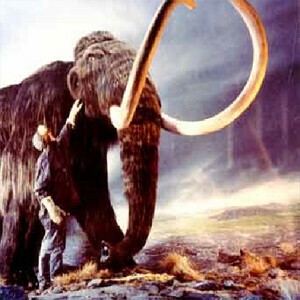 Hugh Miller, Columbus, OH had 4 dinosaur bone samples carbon dated at 20,000 years old. 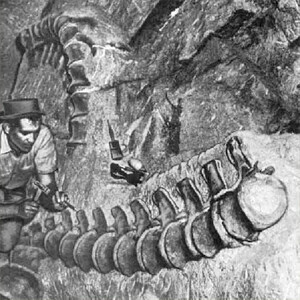 The samples were not identified as dinosaur in advance. In today’s radiometric measuring standards, Potassium – Argon dating is one of the most prevalent methods for fossils and rocks. Potassium is estimated to makes up about 2.5% of the earths crust, and about 1/10,000 of it is K-40 which decays to Ar-40, with a half life of 1.3 billion years. 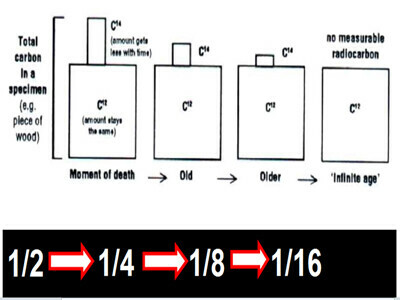 It actually decays 1/8 to argon, the other 7/8 to calcium. Argon makes up about .0000036% of the earths crust. 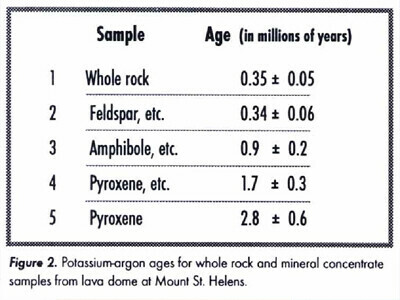 We could infer that magma is about 1/40 potassium and about 1/400,000 K-40. After 570 million years, it is estimate that about 26% of this potassium would have decayed and about 1/3 as much decay product would be K40. Thus a rock will have 1/9,600,000 of an average concentration of potassium to argon, that is of course, if it really is 570 million years old. This is roughly 1/10Millionth the mass of the rock, an extremely minute percentage. There are a number of problems and high assumptions that have to be added into any K to Ar-40 dating. The fact that the atmosphere has a large percentage of argon compared to a sample expected to be found in a rock, and considering that argon is highly transferable and soluble in rock solutions, magma creating gas vapors, groundwater, etc. Argon is extremely mobile in rocks and highly water soluble, yet evolutionists still expect such a small trace to tell us how old the rock is even though all these external factors. To get a rock to equal 1 part in 10 Million of argon, consider a newly formed rock only a thousand years old. If that rock had a average daily argon migration of even less then 1 part in a trillion, that would be sufficient to give a rock the appearance of being over 500 Million years old. It is truly no wonder that scientist have to constantly calibrate their measurements based on ‘known conditions’ of the area and assume the rest (rate of change, daily input, initial conditions, external conditions etc. which there is no possible way to know any of these). The KBS tuff, named for Kay Behrensmeyer, was dated using Potassium Argon (K-Ar) at 212-230 Million years. This data was later rejected because this strata layer that was tested revealed mammalian fossils within it, which largely contradicts the evolutionary time scale. 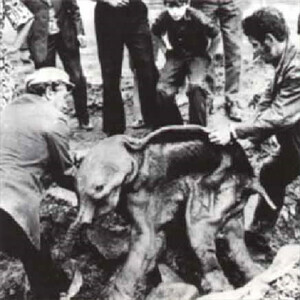 Skull #KNM-ER 1470 was found (in 1972) under the KBS tuff by Richard Leakey. It looks like modern humans but was dated at 2.9 million years old. Lava flow is theoretically supposed to ‘reset’ the radiometric data in its rocks, here are quite a few examples of lava flows not matching to known data. Basalt from Mt. Etna, Sicily (lava flow from 122 BC) gave K-AR age of 250,000 years old. Basalt from Mt. Etna, Sicily (AD 1964) gave K-AR age of 700,000 years old. Basalt from Mt. Etna, Sicily (AD 1972) gave K-AR age of 350,000 years old. Lava from the 1801 Hawaiian volcano eruption gave a K-Ar date of 1.6 Million years old. Basalt from Mt. Kilauea Iki, Hawaii (AD 1959) gave K-AR age of 8,500,000 years old. In 1999 Dr. Raul Esperante teamed up with Dr. Leonard Brand and others to investigate fossil whales within the Pisco Formation of Peru’s Atacama Desert. 600 meter thick hill, multiple layers of volcanic ash radio dated at 12 million years difference between top and bottom layers. Yet in each layer they find multiple fossils of the same type of whales and dolphins perfectly preserved. If Radiometric dating has been proven to be so inaccurate with known short ranged dates, how can we trust it with any of its theoretical long range dates? The biggest problem in dating the geologic columns with radiometric dating is that the ‘dating method’ for them that was defined and devised before any technological measurement device even existed. This original dating method, for each of the columns, was primarily constructed by William Smith in the 1800’s before radiometric dating was even invented. The column time frames where simply made up with so called ‘educated guesswork,’ based on a belief in an old earth theory. This educated guess work lead to the eventual accepted time frames known to be used today, and those proposed time frames where used to calibrate the testing equipment that we use today. Isotope Geochemistry is an aspect of geology basing the amount of concentrations of elements with their isotopes in the earth. The age of a rock can theoretically be determined using this method. Enhanced oil recovery projects developed in the UK in the 1980’s assumed they could carry over the development from North America provided the reservoirs where of the same approx age. The geochemistry did not carry over. In the coal mining industries, sulfur content and coal ranks are key but does not match up to geologic age. 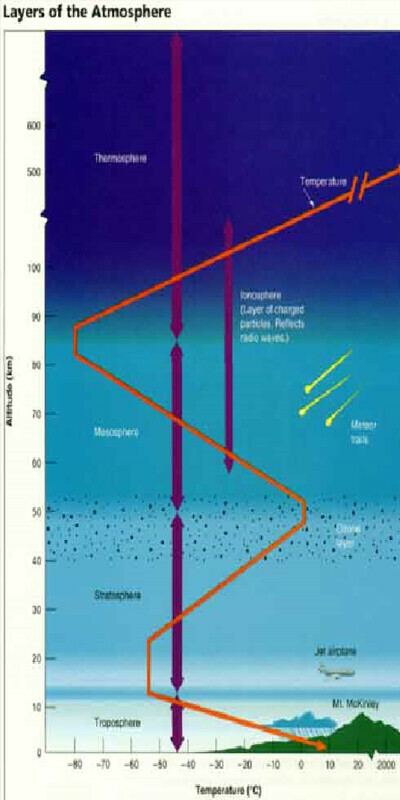 Attempts to relate sulfur content to inferred marine conditions of formations above the coal layers prove unsuccessful. As for the ‘coal ranking’ brown coal is typically found in younger parts of the geologic column and high ranking coal like anthracite is found in the carboniferous, yet low ranking coal is found continually in the carboniferous regions, making the coal ranking inconsistent. Zirconium crystals that are used in radiometric dating to prove the earth is billions of years old, on the flip side when dated using the helium counting method, a more accurate dating method due to non-contamination facts because of the testing types proof the earth only be 6000 years old. Polonium halos are proof for a young earth. they represent data of inconsistencies in a million year earth scenario, and present data for an instantaneous creation. “Ever since William Smith at the beginning of the 19th century, fossils have been and still are the best and most accurate method of dating and correlating the rocks in which they occur. 1.) Carbon 14 atmosphere counter- A Geiger counter is used to detect radio-active elements such as C14 or Uranium.